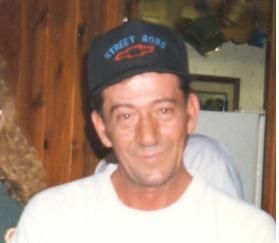 BOONE, Patrick age 62 of Goodlettsville, passed away March 8, 2013. Pat was born May 25, 1950. Pat was a loving husband and father. He was a friend to everyone he met. He is survived by his loving wife of 10 years, Alisa Hargrove Boone; son, Chris (Carrie) Boone; grandson, Evan; sisters, Teresa (Roger) Lyle and Debra Cloud; previous wife, Vickie Hogan; nieces and nephews and extended family and friends. He was a retired tractor trailer repairman and a mechanic with Boswell's Golf Cart Repair. Family wishes to thank the staff at Hospice Advantage, Carlotta Crawford and Pastor Michael Joyner for their support. Family will receive friends Sunday, March 10, 2013 2-8pm at Cole and Garrett, Goodlettsville. Funeral Service 12pm Monday with visitation 1hr prior to the Service. Bro. Stan Cunningham, officiating. Pallbearers, Carl Shane, W.T. Shane, "Winkie" Hawkins, Charlie Southgate, Chuck Beaumont, Michael Bowers, Jeff Johnson and Austin Buttram. Interment, Forest Lawn Memorial Gardens. COLE & GARRETT FUNERAL HOME, (615)859-5231. Uncle Pat will be missed by many and was a kind hearted person. He cared about family and would do anything for anyone. May he rest in peace with our heavenly father and our loved ones that have passed on through the gates of heaven. There is no more pain, suffering or confinement for him, only the joys of heaven for eternity. We love you uncle Pat and will meet again when our time is up on earth.